Are you always flying in Economy class and want some changes in your life? 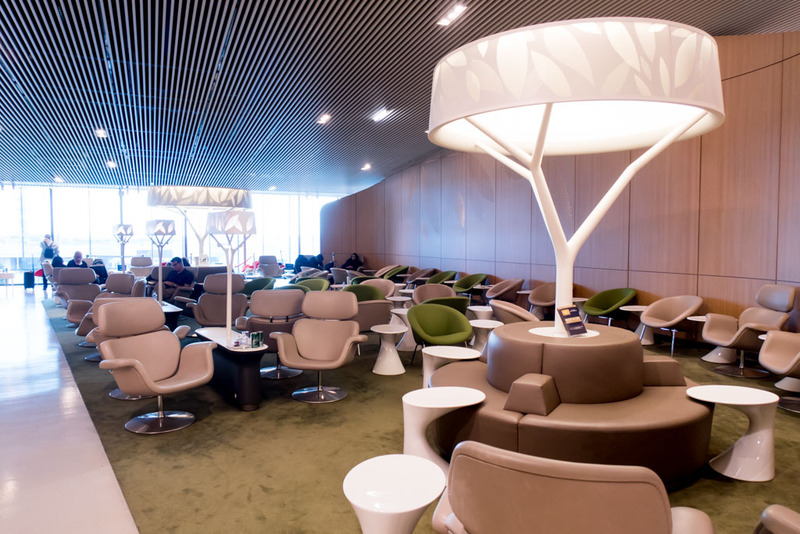 We guess you can get upgrade flight to Business Class in Air France. Of course, it is to difficult to travel in Economy Class where the conditions are not really very good. For example, you can not stretch your legs there and the food you get is served in plastic containers, which is not healthy enough. However, if it is possible to upgrade to Business Class on air France, why not to do it? What’s it like in Air France Business Class? First of all, you get your check-in priority when you have upgraded from premium economy to Business Class on air France. It means that you do not have to stay in long queues in order to get registered. If you have a Business Class upgrade, you will be the first in the queue and get registered quickly. Secondly, after you got a privileged welcome, you have an opportunity to relax in comfortable, quiet, and peaceful lounges. There you can eat and drink quality cuisine. Enjoy the attentive staff on your way too. Get the newest international press there as well. Thirdly, get your priority when boarding. Get your spacious seat. Also, flying in Business Class, you have a possibility to try the best of fine French cuisine designed by the best French chefs. Trying one of the best French wines and champagne will leave you having plenty of memories. In Business Class there is a wide range of programs so that you will not get bored. In the long run, you will get the priority in getting your baggage. 1. Upgrade to a surcharge. Get your upgrade through simple paying for it with your credit card. Just contact your travel agent or call Air France for that. If you want to upgrade your ticket by Air France, you will need to pay for fuel surcharges. 2. Upgrade for miles. 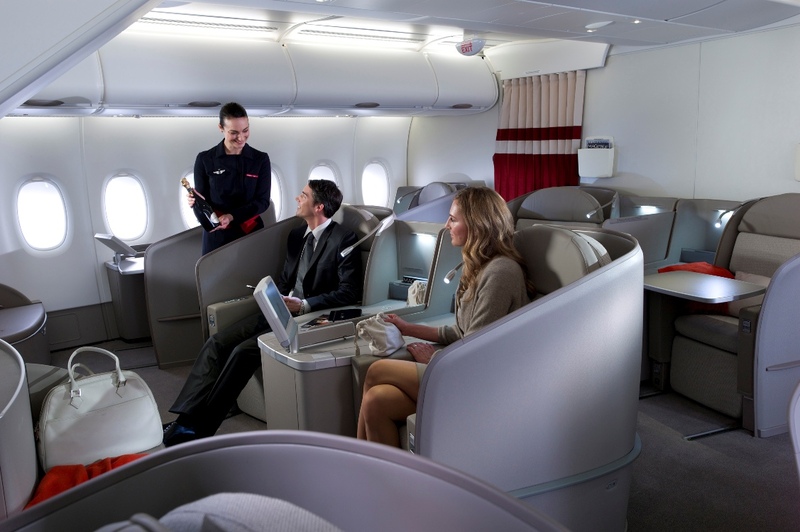 You can upgrade Business Class Air France miles only from Premium Economy Class. If you want to know how much will it cost, you will need to create an account in Air France Flying Blue where there is a special calculator to count your miles. If you wish to know how many miles to upgrade to Business Class Air France make sure you clicked “Show advanced options” and selected a booking class of your fare in order to choose the right price. 3. Free upgrade. If you are not satisfied with the cost to upgrade to Business Class on Air France, there is good news for you because you can get it free of charge. Upgrading to Business Class on Air France might seem too difficult, however, it is possible to get your upgrade making the least amount of efforts. 4. Flying Blue Air France and others membership privileges. Being a member of Flying Blue Air France can give you some benefits. For example, you can pile the number of your miles up and get finally a reward which you can spend on being in hotels, other flights, etc. 5. Other. Dress up smart in order to create a positive first impression. It is very important to look nice, especially in an airport. Of course, if you want to get an upgrading to Business Class on Air France. Your look matters too. Again, in order to know the price of the tickets when upgrading from economy to Business Class on Air France, you will need to visit the website and register. After logging in and choosing the button “Show advanced options”, you have to click on “Booking class”. There you will find the price for your class. In addition, if you want to get the last minute upgrade to Business Class Air France, according to Flying Blue Webpage, it is possible to do it from and to Amsterdam and some other flight routes. Just check the opportunities with the purser on duty. How to know is upgrade space available? The most simple way to know that is via checking Expert Flyer, which is not free. However, you can call Air France on 1-800-237-2747 to get Air France free upgrade to Business Class with a help of the agent. If you decide to use the Expert Flyer, you will have to search for “0” space. Upgrade to Premium Economy need “A’ space. Nevertheless, the most reliable way to upgrade to Air France Business Class is by making a call to Air France. Apart from the free upgrade, you can do an Air France paid the upgrade to Business Class through paying with your credit card. 1. Travel alone to boost your chances to Air France upgrade to Business Class. 2. Be on time boarding and polite. 3. Spend lots of money on Air France and keep being loyal to these airlines. All things considered, you can make your life much more comfortable, simply by trying to upgrade to Business Class. Moreover, it is not as complicated as it might look like at the first sight. You will only need to follow pieces of advice, which were mentioned above. Have a wonderful flight!